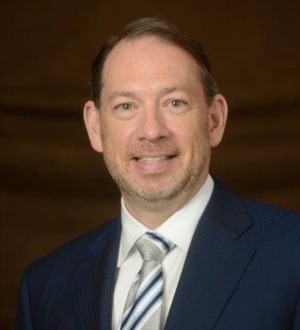 Walter's practice started in Jackson, Mississippi when he joined Upshaw Williams in 1993 and focused primarily on the defense of personal injury cases. In 2000, Walter joined the firm of Sessums, Dallas & Morrison where he remained until January 2013 focusing primarily on plaintiff’s personal injury litigation, primarily medical malpractice. Walter became of counsel with Gainsburgh, Benjamin in January 2013 and he practices in both Mississippi and Louisiana. Walter is a Fellow of the American College of Trial Lawyers and an Associate of the American Board of Trial Advocates. He has been named to the Best Lawyers in America from 2008 until 2017, and was named 2016 Best Lawyers' "Lawyer of the Year" for Plaintiffs Medical Malpractice and 2017 "Lawyer of the Year" for Plaintiffs Personal Injury in Jackson, Mississippi. He has been named to Mid-South Super Lawyers for 2011-2016 and has an "AV" rating in Martindale Hubbell. He is also a member of the Million Dollar Advocates Forum and the Litigation Counsel of America. He is board certified by the American Board of Professional Liability Attorneys.